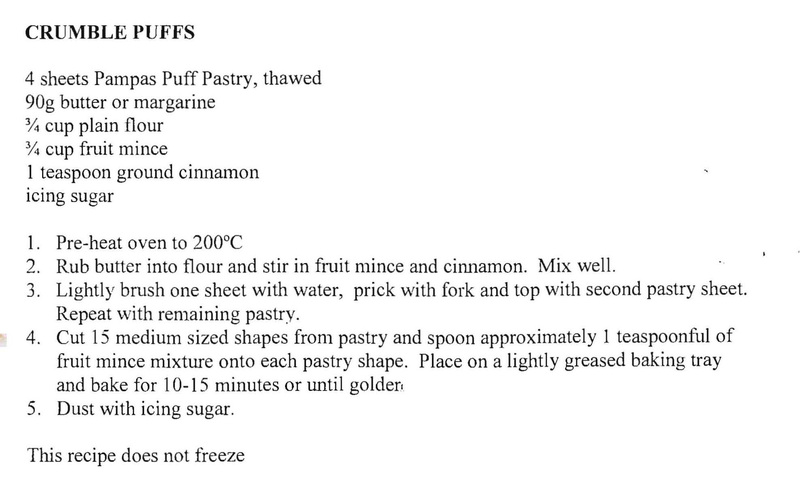 I’ve changed the name of this recipe as I don’t think Crumble Puffs is a very good description. They seem like a very light fruit mince tart to me – light and fluffy and fruity. Just right for this festive season. This entry was posted in All Recipes, Biscuits & Slices and tagged 1980s. crumble puffs, cinnamon, fruit mince, fruit mince puffs, puff pastry by bebsrecipes. Bookmark the permalink.